The U.S. Army today unveiled a fleet of 16 hydrogen fuel cell vehicles that the military services in Hawaii are testing in an effort to research efficient, clean and renewable energy sources and reduce the U.S. military’s dependence on petroleum. “This large scale experiment will last more than two years and, during it, we will mature and accelerate these technologies in support of our Nation’s energy efficiency goals. During a Feb. 22 ceremony at historic Palm Circle at Fort Shafter, Hawaii, officials from the services comprising U.S. Army, Pacific, U.S. Pacific Fleet, U.S. Pacific Air Forces and U.S. Marine Corps. forces, Pacific – government leaders including U.S. Sen. Daniel Inouye, Lt. Gov. Brian Schatz and Honolulu Mayor Peter Carlisle, and industry partners demonstrated the use of the 16 General Motors hydrogen fuel cell vehicles. The zero-emission vehicles, funded by the U.S. Army Tank Automotive Research, Development and Engineering Center (TARDEC), Office of Naval Research and Air Force Research Laboratories, are being tested in Hawaii’s ideal climate for real-world conditions reflecting each service’s needs. 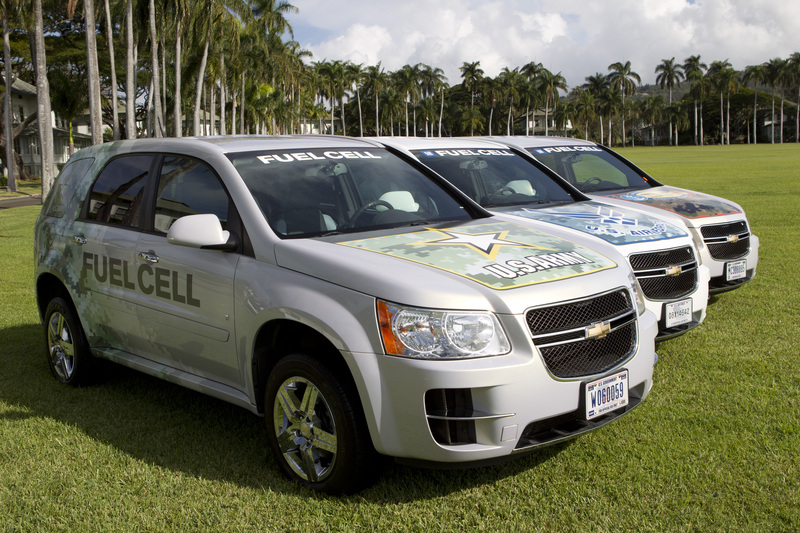 The military fleet of hydrogen fuel cell vehicles serves as the test platform powered by renewable hydrogen. Each vehicle travels up to 200 miles on a single tank, refuels in five minutes and produces only water as emissions. The Army actively seeks and supports industry partnerships to increase compatible renewable energy development. 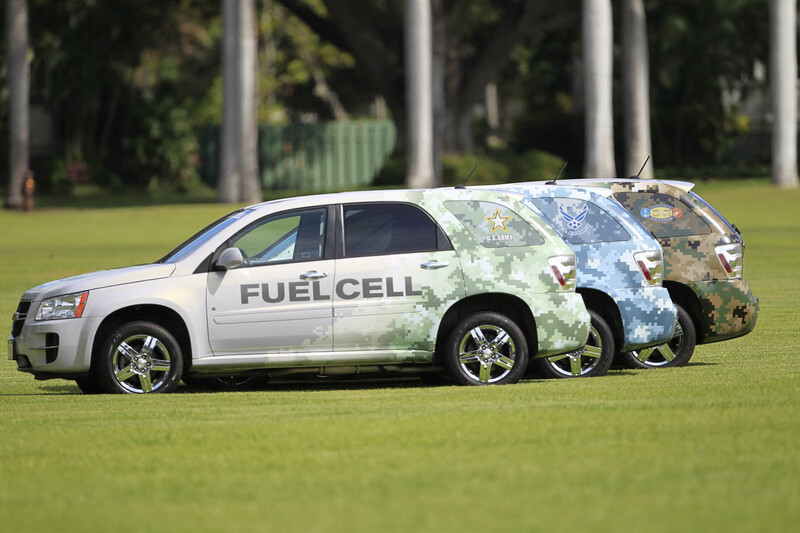 Fielding of military fuel cell vehicles with the Army, Navy, Air Force and Marines is the latest effort of the Hawaii Hydrogen Initiative, a partnership among 13 agencies, companies and universities. More information on the initiative can be found at http://www.Hydrogen2hawaii.com.